"The number of people who have died in Italy after being administered a flu vaccine made by Swiss pharmaceutical company Novartis has risen to 13," say reports. 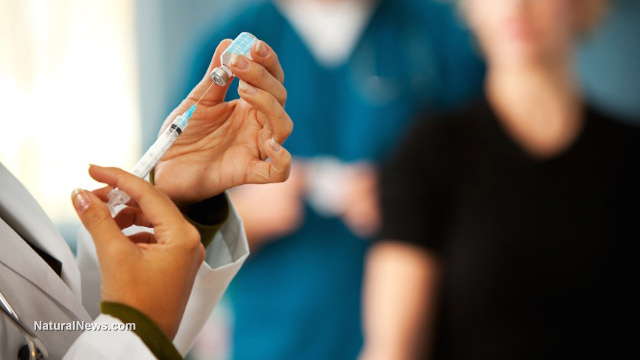 The deaths occurred "within 48 hours of being administered the [vaccine]" and Italian health authorities have issued a partial ban on the vaccination batches believed to be causing the fatalities. Because flu vaccines are falsely assumed by governments to be 100% safe -- despite the mounting evidence of their dangers and the fact that they contain toxic mercury -- the global media usually ignores vaccination adverse effects and fatalities. Even this story covering the 13 fatalities dutifully carried a denial from official government health authorities, saying "The Italian Medical Agency (AIFA) has warned against panic and stressed there is not proof yet that it was the vaccine that led to the deaths." It is an irrefutable fact that vaccines are intentionally formulated with mercury and aluminum -- both toxic metals that compromise human health when injected into the body. Mercury is, of course, a toxic heavy metal linked to birth defects, spontaneous abortions, kidney failure and neurological damage. Aluminum, used as an inflammatory adjuvant in vaccines, is linked to Alzheimer's and dementia. Dr. Maurice Hilleman, former Merck virologist, explained many years ago how vaccines often contained "stealth cancer viruses" that caused cancer. As many as 98 million Americans were injected with cancer-causing viruses during the mass polio vaccination campaigns of the 1960's and 70's. This is a fact the CDC used to publicly acknowledge but scrubbed from its website in 2013 in an effort to hide this medical history from the public. The Government Accountability Office's report noted how a program established a generation ago to help children injured by government-recommended vaccinations such as measles and chicken pox is now dominated by claims filed by adults who received a flu shot. Those cases typically claim that the adult suffered from Guillain-Barre Syndrome, in which the immune system attacks the nerves. Anyone considering a flu shot should think twice about the risk of harm or death associated with such injections. Far safer and more effective strategies for preventing the flu include vitamin D supplementation, boosting immune function with appropriate herbs, increasing intake of vitamin C during winter months, improving restful sleep, increasing zinc uptake and practicing improved personal hygiene (such as washing your hands before touching food you're about to eat).